We had photographer Alexander Panzeri at the event who has showered us with photos. Some are below. A video is being prepared and this will be sent to you as soon as it is ready. 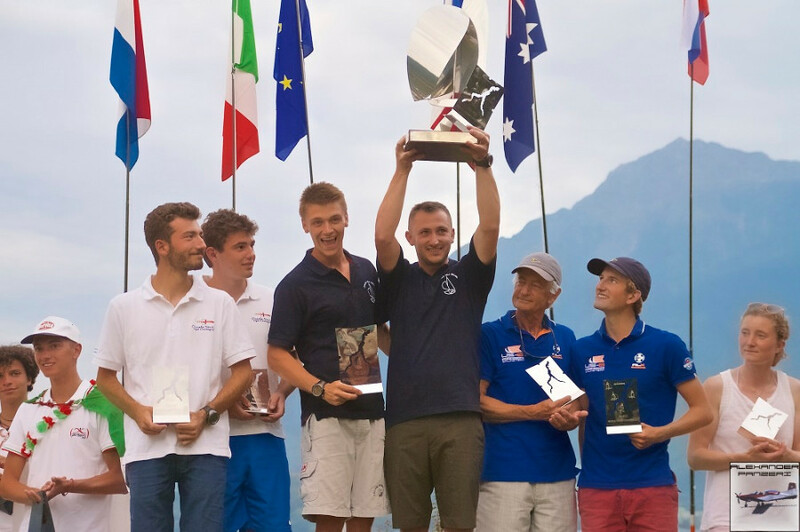 RS500 Worlds, The first 2 days, difficult conditions and a real international leaderboard. We are seeing tough conditions in Gravedona for sailors and race committee. Day 1 can be summarized with long waiting and no sailing. With heavy gust from every direction, shifts of 50’ to 110’. But off course the RS500 class made something great of this. The Vikings from Sweden did a demonstration show. And it indeed showed it was a good decision to stay ashore. Day 2 started with a bit of wind, then the wind disappeared to come back from the same direction, the North. With wind from the North the locals know, it is going to be touch. Windshifts and gusts appearing from everywhere. It was very crowded on the start line during the first race. This resulted in a general recall and a blag flag. The 2nd attempt everyone was more conservative and the ‘puzzle’ started. The first and 2nd round were going well and the shifts were nice to react to. After that, during the 3rd round, the top 10 was approaching the finish and the wind shifted almost 180’, resulting in abandoning the race. The 2nd attempt, the class could finish the race. Reading the water well and keep the boat fast was the thing to do. And that is what the locals Francesco Bozana and Andrea (ITA) did best, followed by Michiel Geerling and Esther (NED) and Martin and Axel Johanson (SWE). The 3rd race of the day was a copy of the 1st race. After 2 rounds the race was abandoned. And then a good breeze came in. And the fleet could have another good race. End results: With 2 times a 3rd place Swedish father and son Martin and Axel Johansson are leading followed by local expert brothers Federico and Fillipo Maccari (ITA). 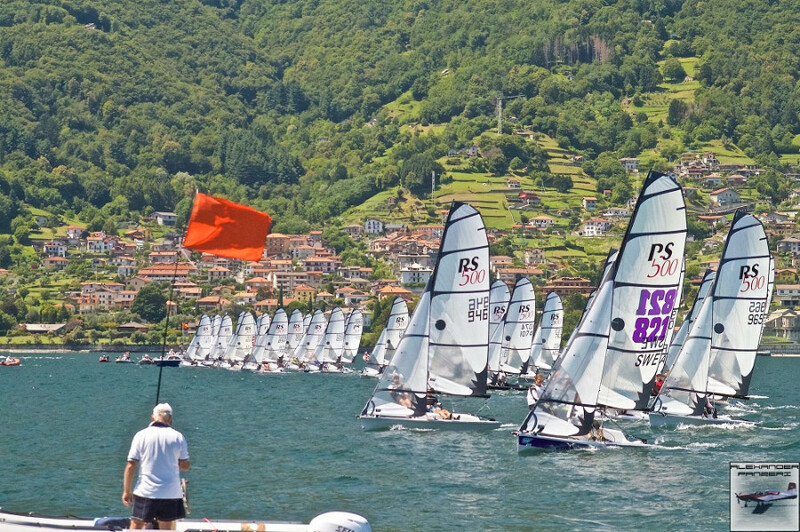 A couple of black flags and bad results of top-sailors a lot can (and will happen). Day 3 was a day of no wind / very light wind from all directions, we sat and talked in the sun, listening to the ever-growing laughter in the cookery school & wine tasting out on by the club for the non-sailors. Kathyrn brought her infamous Games Night forward and, whilst awaiting the wind, 6 national teams engaged in hilarious combat. The youth and beauty of the Italian team was just pipped by the age and cunning of the UK team. Finally the no racing today signal sounded and the fleet headed to the bar. 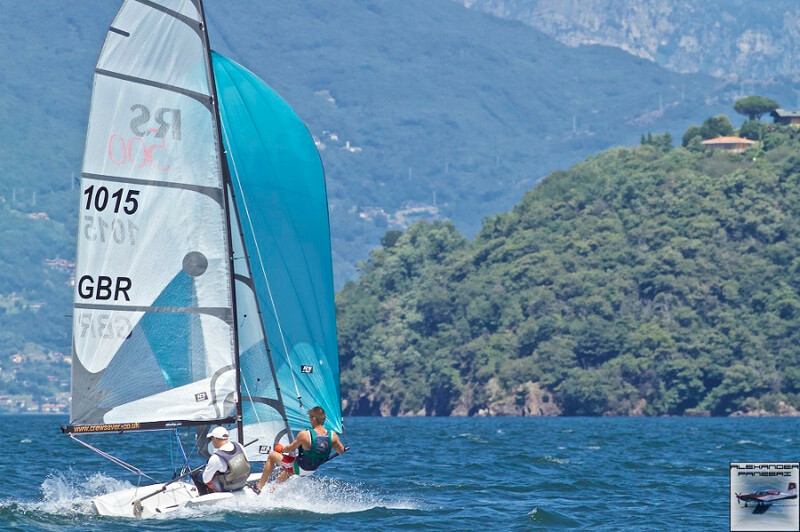 Day 4 The weather forecast finally should allow some good races with the typical Breva (south wind), but some remaindering of the previous days perturbations around the mountain makes the fleet wait on the shore, and then in the water for a good couple of hours. In the end, when hopes are fading, here it comes - a 6-8 knots south breeze, just about right to get the race started. 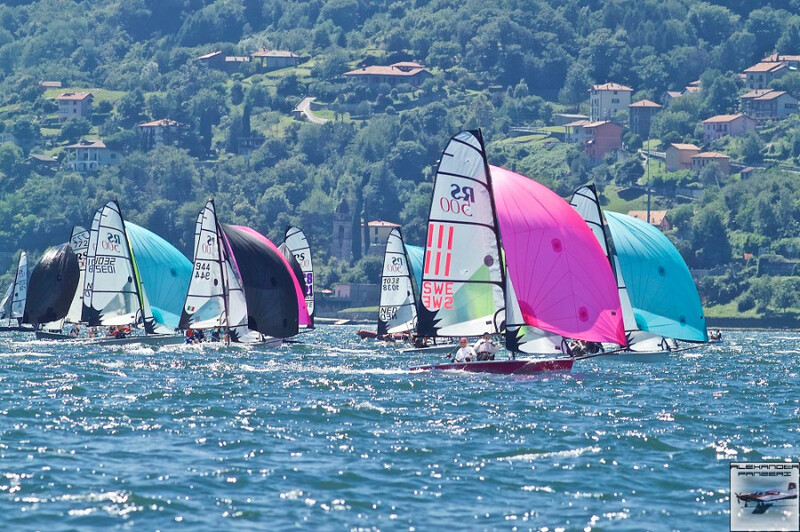 A short course and short starting line makes it tricky to come out from the start with full speed and in fact 10-15 boats are too “brave” and end up with a BFD in the first race. Second race exactly the same as the first one, crews are more conscious on the line bringing a clear start. 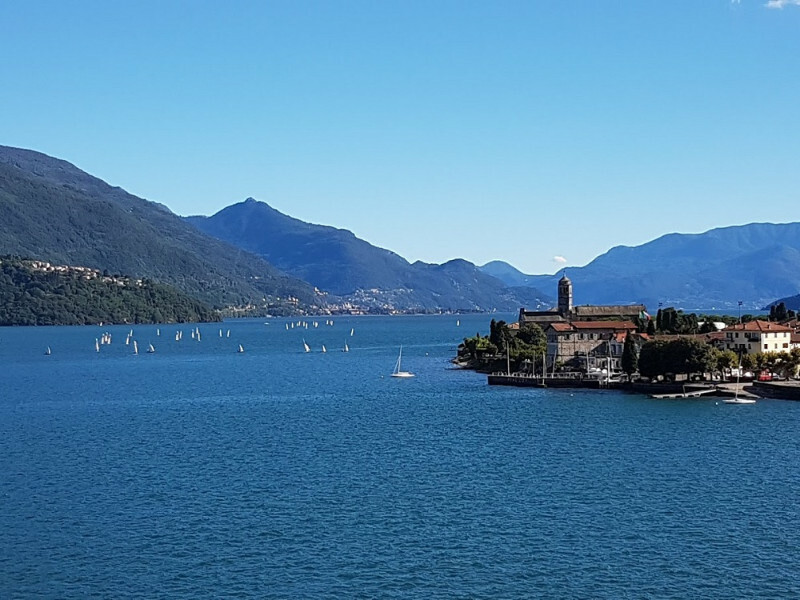 Interesting race course very close to the east coast of the lake giving the impression you need to get down there, while the reality is different and closing to the windward mark left shifts gives advantages to that side of the course. 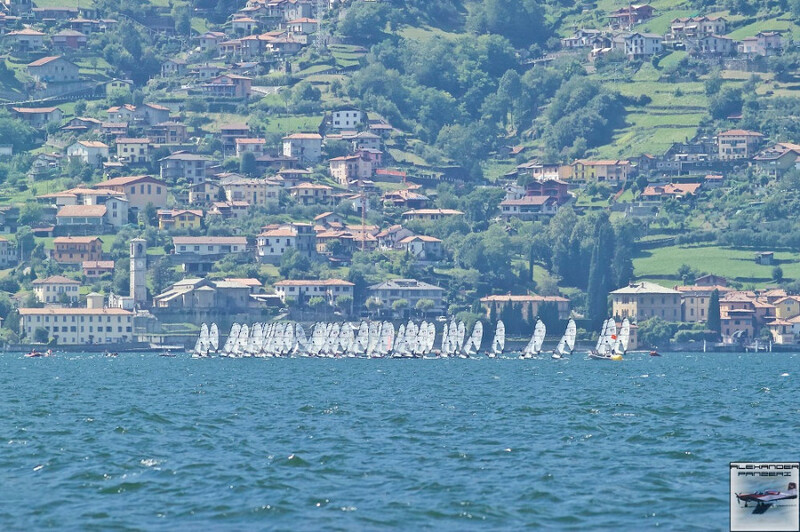 Federico and Filippo Maccari use all their local experience to come up with two bullets gaining the leadership on the race, behind all the others struggle to get constant results apart from Kikkert-Stapel (NED) who are very comfortable in these light winds bringing home 4 and a 3, followed by Bozano-Dellepiane with 6-7. Disappointment for the Swedish Martin and Axel Johansson (BFD-5), Bokmark-Persson (BFD-6) and the locals Oppizzi-Frazzca (BFD-2), that starting line had its victims! Day 5 It seemed like the previous day, hot, sunny, no wind. Forecast is good again though so the fleets go out in the water hoping to catch the wind as soon as it comes. Finally after 4 days, the real Breva makes it appearance starting with 10-12 knots and growing with gusts of 14-16. Great decision of the Race Committee to leave the course very short making races very close and intense from start to end. Race course strategy changed from the previous day and with good breeze coming in, the right side (and the coast) is actually the side to chase for the first 2 races while in the third and last race both sides are even giving chances also to those boats not having a good start and forced on the left side of the course. As expected, as the wind grows, the Brits start showing their muscles with Russell-Snellgrove (5-6-1), Peter and James Curtis (6-2-UFD, which was a 1st!) and Saul-Caswell (3-7-6) taking the scene. 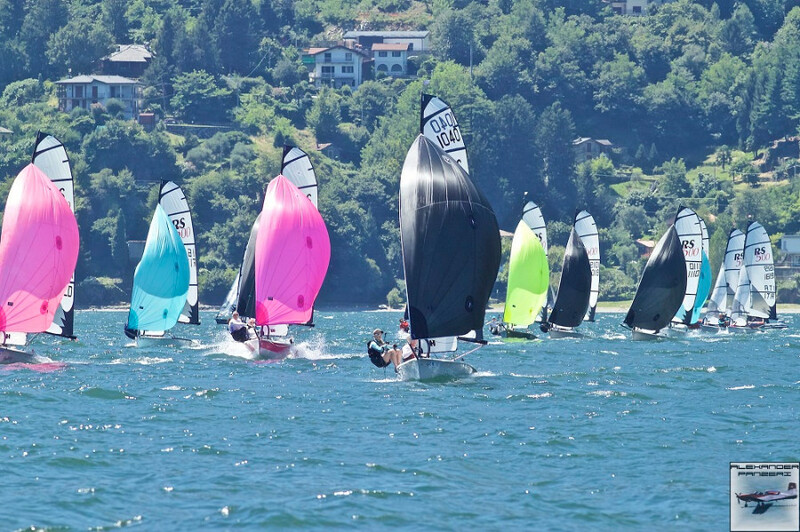 Federico and Filippo Maccari though are well prepared in this conditions and with a 1-3 in the first two races secure their triumph in the Championship with still a race to go (4thplace). 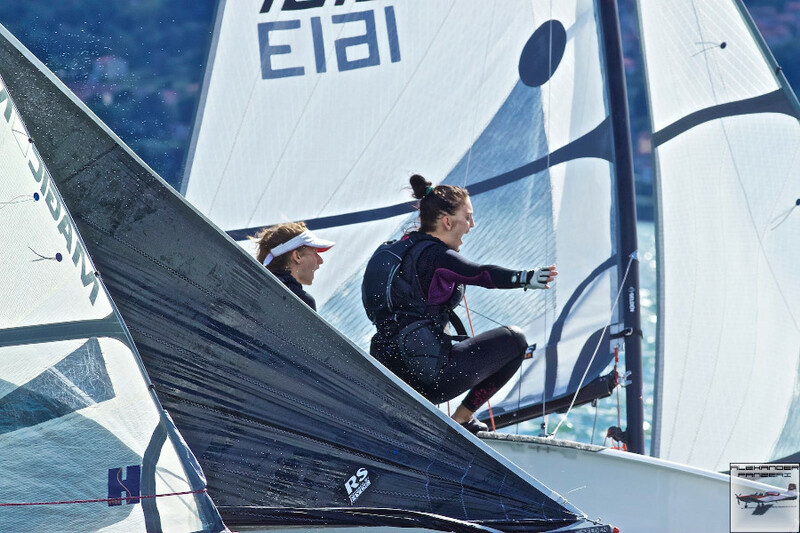 The Swedish team pays the BFD of the previous day with a 21st in the last race, impossible to discard, leaving them with the bronze medal in favour of the Italians Bozano-Dellepiane, never as comfortable with strong wind as today (22-8-2), taking Silver and their first podium in a World Championship. Has been a very interesting championship, we had all possible conditions and the level of the fleet is raising every year. Lots of new teams are coming in and fighting with more experienced ones. 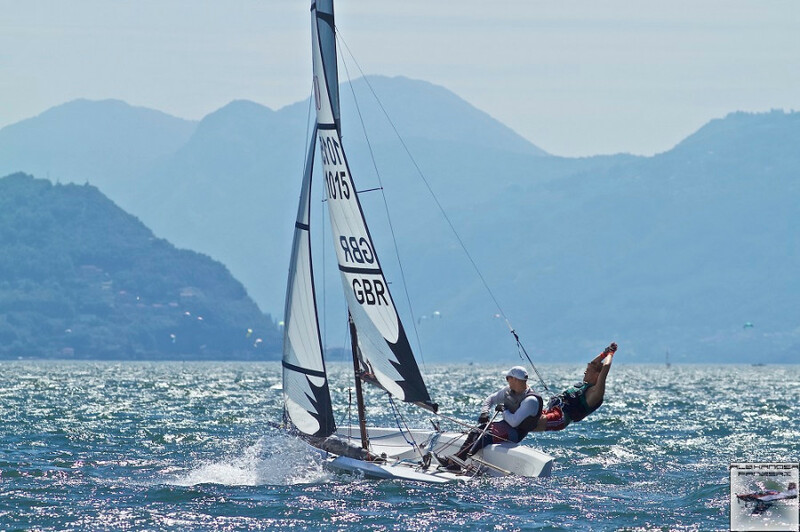 We all can’t wait already to be in Weymouth next year to have another great well of sailing….and partying (thanks Dutch as always)!! The RS500 class has developed itself in the last years as a real international and good scene with racing all over Europe. Always trying to go to the best venues and nice fleets. 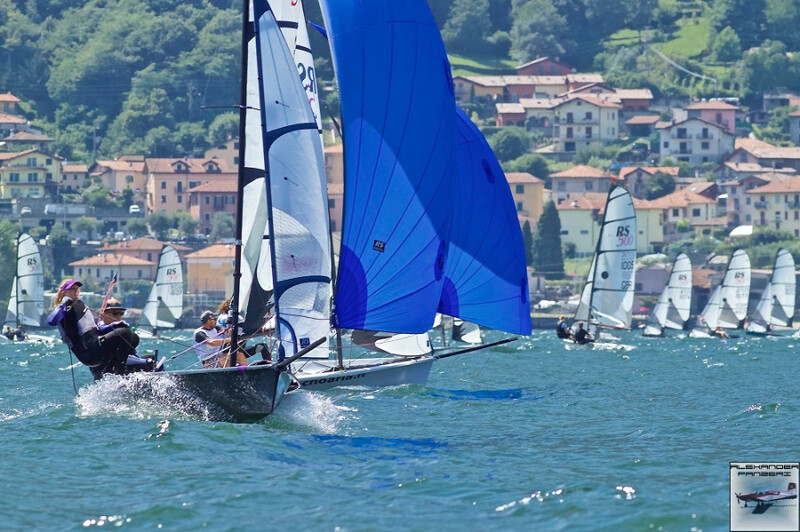 With 63 teams from 10 countries the RS500 sailing scene is really international. The biggest teams are from the Netherlands, Italy, France and Sweden. The RS500 is very often seen as the pathway boat after the RS Feva. In some countries it is positioned where the 420 was in the good old days. The RS500 class is a affordable and exiting boat for many youngsters and people young at heart.